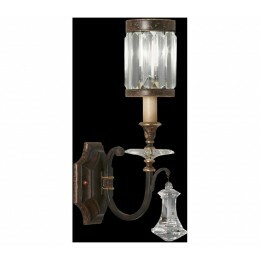 Sconce in rustic iron finish with garnet undertones. Shade of faceted channel set crystal and brilliant pendant. 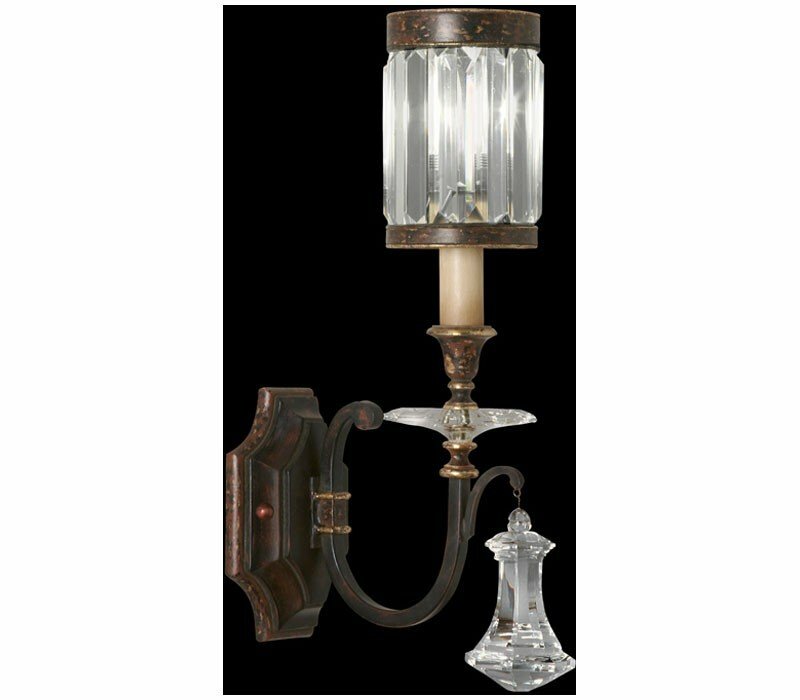 The Fine Art Lamps 582850 Eaton Place collection Sconce Wall Lighting in Dark Brown Patina with Garnet uses Incandescent light output and brings Antique style. This item is 19"H x 4.5"W x 9"D. The total wattage is 60 and the voltage is 120 volts. 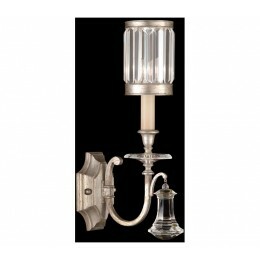 The Fine Art Lamps 582850 requires 1 bulb (not included). Additional Information: Shade-Shades of Faceted Channel-Set Crystal.